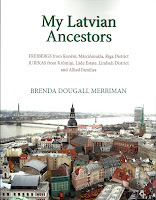 ShopMyBook no longer has my family history books (McFadyen, Dougall, Latvian). Nor CAMELOGUE. In late 2014, the company decided to re-do its format for submissions. They issued a deadline for its current users to upload their re-formatted manuscripts. This customer could not possibly comply because it would involve extensive technical changes to my manuscripts AND the three family history books require considerable revisions that will take months. As the books begin appearing anew, they can be ordered from CreateSpace.com. On their Search line, choose the "store" option (rather than "site" option) and put Brenda Dougall Merriman in the search box. 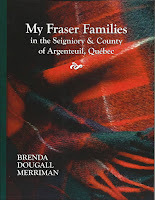 Finally, my Fraser family history, July 2015. Thanks to learning the ropes at CreateSpace.com and to designer Jane MacNamara. 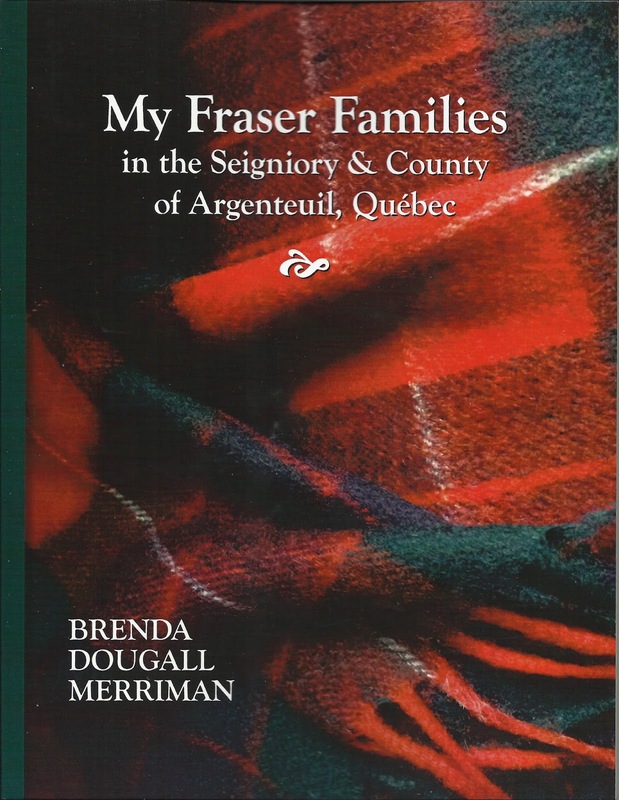 Following two ancestors who came to St Andrews, Quebec, called John Fraser: the farmer from Invernesshire who settled about 1805, and the blacksmith who arrived about 1830 ― as much as I know of their descendants and their Scottish origins. 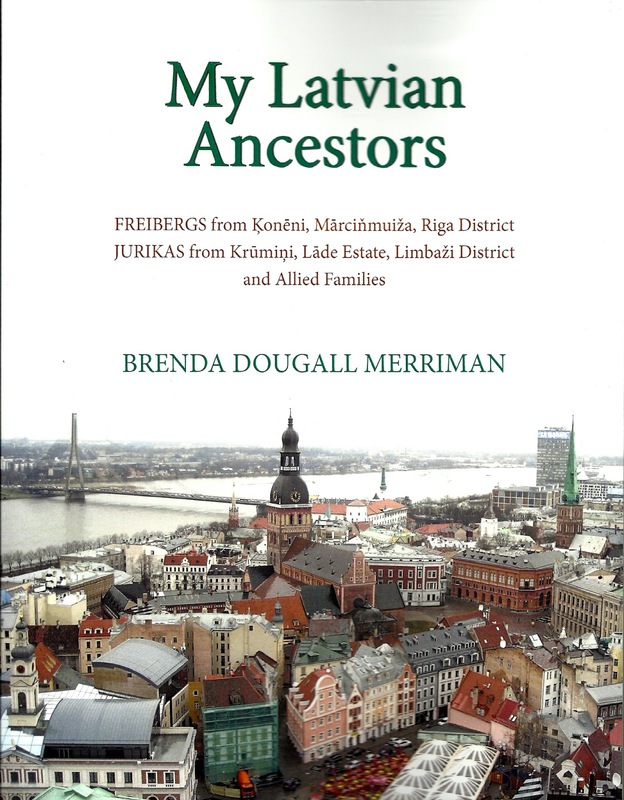 including the Estonian RIIS family of legend. And brand-new cover, thanks to the talented Jane. CAMELOGUE meanwhile renews its existence in the posts on my blog for travel memoirs, CamelDabbleTravelBabble ... http://camelchaser.blogspot.com/. 30th Anniversary edition of "GIO"! (Toronto: Ontario Genealogical Society, 2013). United Empire Loyalists: A Guide to Tracing Loyalist Ancestors in Upper Canada (Milton, ON: Global Heritage Press, 2006). Also available in hard cover. Global Genealogy is a website of many goodies for the family historian ... publisher, bookseller, and producer of the electronic Global Gazette. 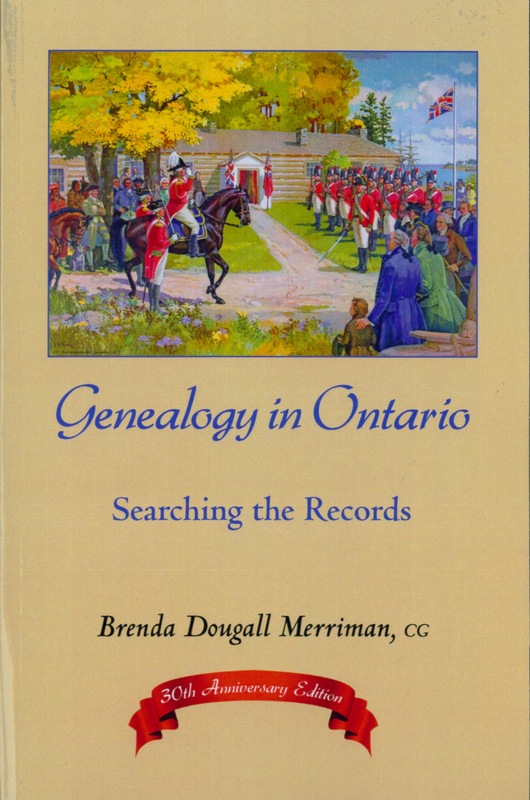 The 2010 edition of Genealogical Standards of Evidence was co-published by Dundurn Press and the Ontario Genealogical Society ... one of the first choices for Dundurn's "Genealogist's Reference Shelf" series. The "GSE" revised manuscript was peer-reviewed. The Board for Certification of Genealogists includes it as a Self Study Recommendation at "Educational Preparation" on their website. I include this book in my opus although it is long out of print. It resulted from several years of research on behalf of Henry Newton Rowell (Hal) Jackman, who during that research period became Lieutenant Governor of Ontario (1991-1994). Being the Honourary Patron of the Ontario Genealogical Society, he agreed they could publish a portion of the research. 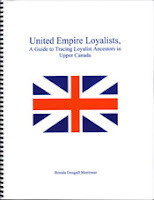 The book dwelt only on the first emigrants, the Canadian "patriarchs" in many ancestral families: Jackman, Lillywhite, Wray, Rutherford, Campbell, Freeborn, Rowell, Green, Coyne, Gardiner, Langford, Rich, and Street. My long association developed with the Jackman Foundation and WordForce in The Petworth Project. Of surname interest is the later "companion" book by my colleague Leigh Lawson, The Jackman Family in West Sussex, 1565-1836.